Railpictures.ca - Marcus W Stevens Photo: Lake effect white out conditions are in the area as train 422 slowly climbs through Halton Hills near the bottom of the Niagara Escarpment. | Railpictures.ca – Canadian Railway Photography – photographie ferroviaire Canadienne. 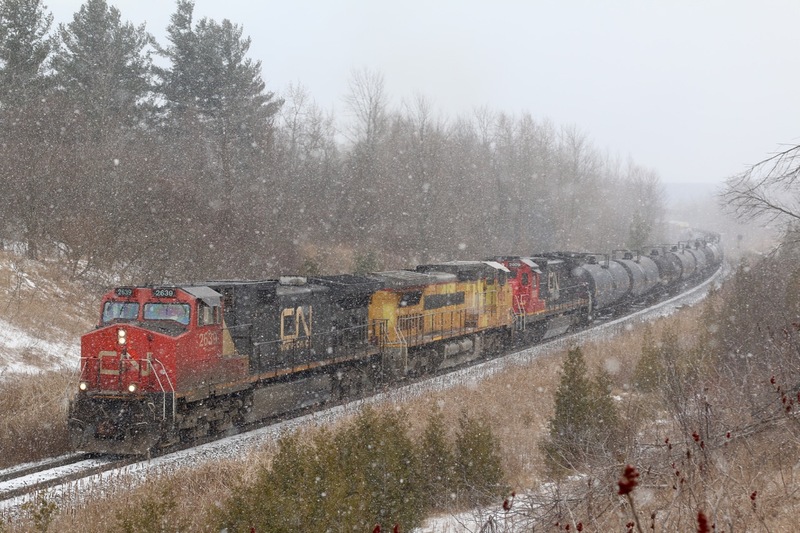 Caption: Lake effect white out conditions are in the area as train 422 slowly climbs through Halton Hills near the bottom of the Niagara Escarpment.